After being involved in animal welfare for a few years, I’ve learned to really hate these lists. The American Kennel Club has put out its list of the top dogs based on registration statistics. The winners are Labrador Retrievers, German Shepherds, Beagles, Golden Retrievers and the Yorkie. Labs are America's favorite dogs - until they are no longer wanted. Adults like Edy may never find another home. I have no qualms with the dogs or their popularity. In fact, Molson, my in-laws late Lab is one of the best dogs I’ve ever been around. The problem is our culture – the need to possess whatever item is hot – whether or not it’s a living, breathing being – and getting it as quickly as possible. It’s that need to possess that ties this story with the other dog story in Chicago yesterday. Chicago Animal Care and Control put out an alert that they’ve taken in a large number of dogs recently – they are full. Because they are an open admission shelter, animals die when they are full so they are able to make room for more animals that come through their doors. 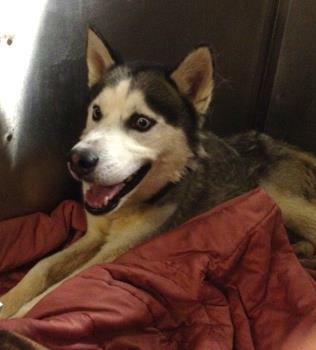 This Husky is another pure breed dumped at CACC who also needs a home. The plea yesterday was for no kill shelters and rescues to come to CACC and rescue the animals to give them a second chance. Although many of the dogs will be mutts or pit bulls, you’d be surprised how many of the top five dogs from the list at the start of my post have been left behind. In fact, around 25 percent of the dogs in shelters are pure breeds. You know the dog – the Lab, the Golden, the Beagle – that someone just had to have until they didn’t have to have it anymore. Many of these animals were purchased at a premium from a pet store or the Internet because people had to have a pure breed – until something else caught their attention. 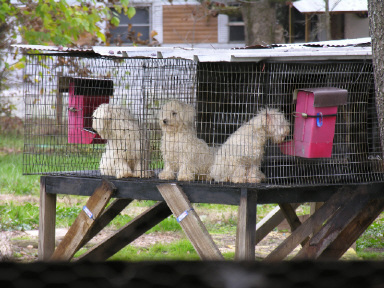 And this need to have it now fuels one of America’s most inhumane industries – the puppy mills. Because people don’t want to wait or do their homework, they purchase dogs through newspaper ads and from pet stores. 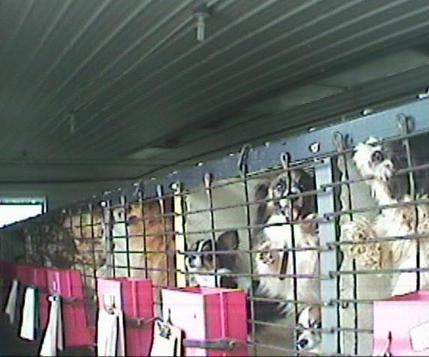 All of these dogs are mass-produced in commercial breeding operations known as puppy mills. Breeding dogs are kept in inhumane conditions and dogs are cross-bred with no concern for any genetic issues that may plague a particular breed or bloodline. 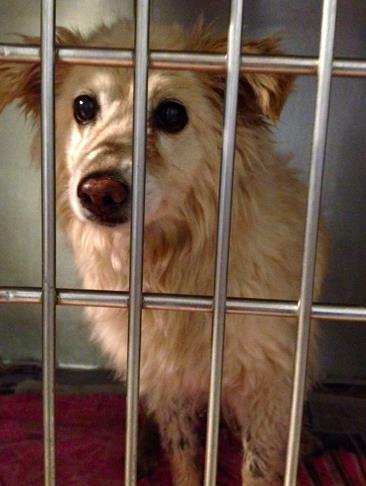 Fluffy is 16 years old and terrified of the shelter. And consumers buy, buy, buy – until they can’t afford the vet bills or get tired of the responsibility or see something else they want more. Then, the dogs end up in a shelter or rescue – often it is death row because there are just so many wonderful homeless pets out there and not enough homes or shelters for them all. Dogs of all sizes - like Pilot - just need a second chance. If you are interested in any breed of dog, you really need to do you homework. Check out what that type of dog was bred to do and decide if that is behavior you can live with because it’s not going to change. Ask someone who’s lived with rat terriers, herding dogs, pugs or dachshunds…any pure breed. They all have their pros and cons. A lot of the Chicago breed rescues have monthly meet ups and they encourage people who are considering taking in that type of dog to come and learn about the beauty and blemishes of their favorite breed. Then, do more homework. Check out shelters and rescues and ask as many questions as you can about a particular dog and the breed. You are not purchasing something that can be discarded or returned. You are bringing home a family member who loves and cares and wants nothing more than to be with you. When you get a pet, you are actually getting into a very long-term commitment – 12 to 20 years. That’s a long time – too long for a lot of people. 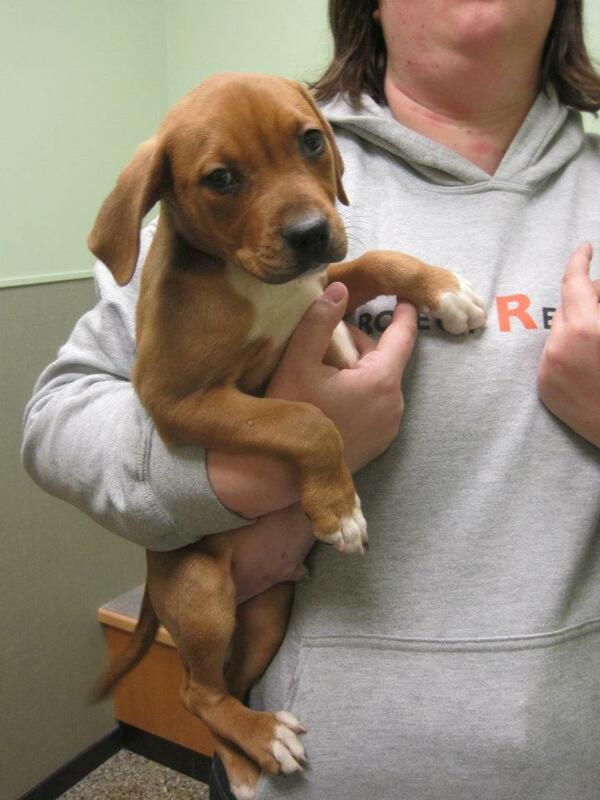 Taylor is still a puppy, but lost a home anyway and now needs a second chance. Skip a puppy and go for a grown up. With the current economy, there are many adult dogs that have been trained and in a loving home and just want to get back into that routine – try that to start. Even better – try a senior dog. If you do want a pure breed from a breeder keep in mind, good breeders not only care about the gene pool of the dogs they reproduce, they are very picky about who takes their puppies home. While you’re asking questions about bloodlines and if a dog will be good with kids or cats or other dogs, they are checking out your backyard, your neighborhood, your ability to pay for vet bills, your ability to handle a long-term commitment. Unfortunately, people don’t want to wait, do their homework or really think it through. They decide they want a dog, they want it now and they want a pure breed puppy so it won’t “have the issues you get with a shelter dog.” So they purchase a dog from the paper, the Internet or go to their neighborhood pet store and end up with what they think is a pure breed with papers – but – it’s a dog mass-produced in a puppy mill. Calvin also needs a second chance. And when they find out how much work it is to have a puppy – that it needs to be trained, that it will produce more puppies if not fixed, that it gets sick and needs medical care – then they think about those issues. If the dog has health issues because of poor breeding standards – people think about it after they buy a pet. 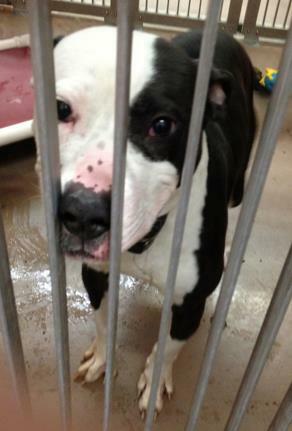 Plenty of pitties like Domino also need a second chance. That’s when they decide having a dog isn’t the best thing for them. That is when they find out that dogs are not returnable. That is when CACC, the Animal Welfare League and any number of open admission shelters get the responsibility of the dog that people just had to have. That is when the plea goes out for help. And, that is when so many dogs get their death sentence because no one just “has to have” that dog anymore. All of the dogs shown in this post were listed on the Facebook Page for Chicago Animal Care and Control’s Transfer team yesterday. They need a rescue, a foster home or better yet a true forever home. I grew up with cats in the house. Throughout the years we had a variety of indoor-outdoor kitties that shared our bed and our love. I was sad each time one of them went on to the rainbow bridge. But, that didn’t really prepare me for the first time I had the life of a cat held in my hands as an adult. Wedge lost his battle with parvo on Saturday. Fast forward to three years later, Rhett’s sister Scarlett had just had a good check up the previous week when she started to vomit on Sunday. She could keep nothing down. I rushed her to the vet Monday morning and they ran a series of tests. Her blood pressure was through the roof. Her heartbeat, very irregular, they gave her fluids started working on a diagnosis and sent her home with me. 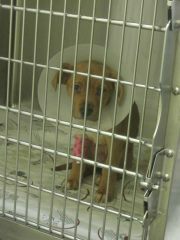 Solo is also battling Parvo. When I went to pick her up from the vet that night, they told me it was very likely Scarlett, at 18, wouldn’t make it through the night. (Her vet bill was also very high.) Her best bet was to go home with me and be loved and cared for like I always cared for her…If she made it, we would take it day by day. Our girl pulled through and each day ate more and more. She was diagnosed with Inflamed Bowel Syndrome and put on a range of medications for that and high blood pressure. She not only made it through the night, but lasted for another year and five days before her body gave out at 19 1/2. When Rhett died, I was heartbroken. But, I felt so much worse because he was my baby, my rescue and I felt deep down that I should have gone to a different vet much earlier – I trusted the guy we were with. One of my friends took me aside many months later to remind me the loving, spoiled life I gave this once homeless kitten. It made me feel a bit better – on some days. When we rescue an animal, we take them in, love them, and do what we can to give them a long healthy life. I’m thinking a lot about Rhett and Scarlett the past week as I pray hard everyday for a group of dogs I’ve never met fighting parvo at Animal Care Center in Chicago. A wonderful group of rescuers – Trio Animal Foundation and Project Rescue – took responsibility for these dogs. Now, as they face overwhelming vet bills, they are doing what they can day after day to try right by these puppies. I can’t image what it’s like to be in their shoes but I get where this dedication comes from – they rescued these dogs, they are doing what they can. TAF has seen the worst of what humans can do to animals and worked to rescue and rehabilitate pets no one else would go to bat for. We all should have someone like that in our corner. The sad part about this story is that Antlers puppies were almost home – they’d been rescued, loved and were about to be put up for adoption. When TAF got the bad news about the Parvo last week, they did what I did, told the vet to work to save them and then went on overdrive trying to find the funding to help. They knew what the costs were, they’d just save several other dogs from parvo as well. Here’s what you can do – keep praying. Modern veterinary medicine is wonderful, but I’ll never underestimate the power of prayer. Donate – there’s a chipin set up to help the puppies. Stop by the fundraiser – There is a fundraiser for TAF at Franklin Tap on Wednesday. Here’s the link to the details and my story. Note – Army, the little dog in the last photo, died Tuesday afternoon. Solo is still hanging on. I was baking Christmas cookies with my nieces – aged 16-18 – and the discussion of dogs and puppies came up. My in-laws are considering adding a dog to the family, the first since their beloved lab died six years ago. This time around they are well aware of some allergies in the family and are looking for non-shedding dogs, which haven’t been bugging the allergies of the three people in the house that suffer from them. Dogs in puppy mills - courtesy of The Puppy Mill Project.. I was so proud. Especially since I’d just recently become involved with the Puppy Mill Project and hadn’t even started to talk about puppy mills with them. We did a quick lesson on how to use the site for the Puppy Mill Project, the Amish and their connection to puppy mills and the dogs at Lambs Farm (puppy mill dogs as well). In my circle of friends, we all know where the puppies in the window come from. However, my circle is very full with people in the animal rescue community. That isn’t the case for the rest of America. According to the Puppy Mill Project, an estimated 75 percent Americans are not aware of the puppy mill/internet/pet shop connection. Go here for the full list. There are three pet stores that I know of that used to sell dogs and have now moved to adoption through various partnerships. 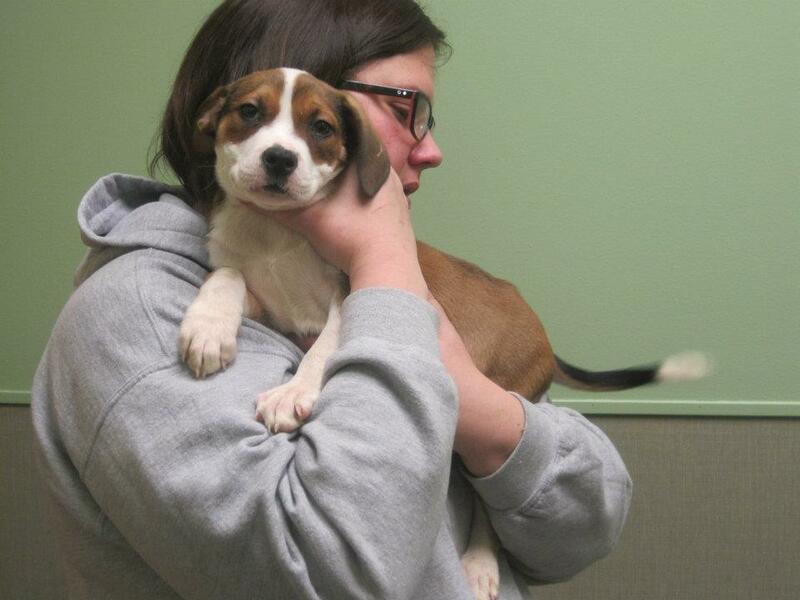 Wilmette Pet Center made the move over a year ago with the help of Adopt-a-Pet. Thee Fish Bowl in Evanston worked with the Puppy Mill Project(TPMP) and Chicago Animal Care and Control to set up an adoption program. Chip was rescued by Annie's Little Angles and Dog Patch for adoption through Dog Patch. In November, it was Naperville’s oldest pet store – Dog Patch Pet and Feed – that made the move with help from TPMP. Annie’s Little Angle’s Rescue has been working with Dog Patch to pull dogs from Death row at CACC (Dog Patch already had a relationship with a Wisconsin Shelter for cats). So far, all three stores have found many new customers since making the move to adopt instead. 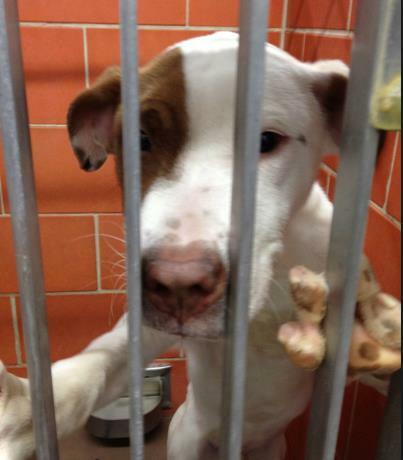 And, dogs and cats are now being saved from death row. In the meantime, animal advocates will continue to protest and get the word out about puppy mills. Go here for an article on the efforts of the Puppy Mill Projects Cari Meyers (and vote for her at this site each day). She was an animal story in Chicago that drew a lot of attention. Isis the dog was abandoned by her family on the cold Chicago streets when they moved and the new landlord didn’t allow dogs. Then, neighborhood kids beat her, police were called and she was taken in by animal control. Isis had been a faithful, loving companion for 10 years and this is what she got. The dog’s former owner, Lashon Parks, was charged last month with animal cruelty and failure to comply with an animal owner’s duties, both misdemeanors charges. 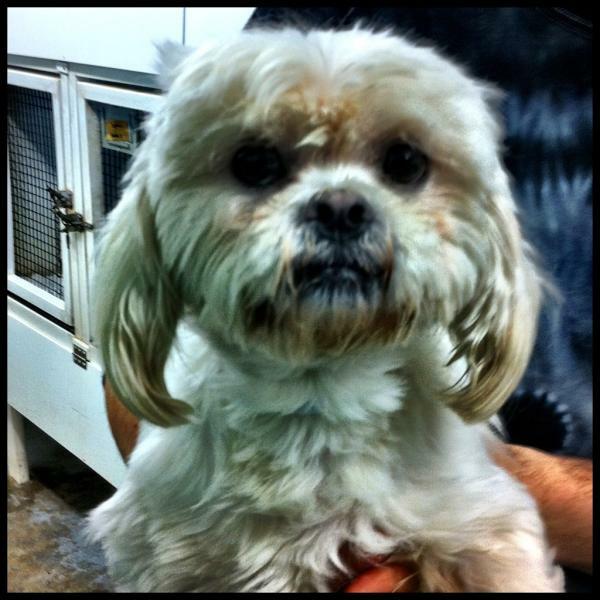 The story got a lot of attention and lots of families stepped forward offering to adopt or foster the sweet senior dog. 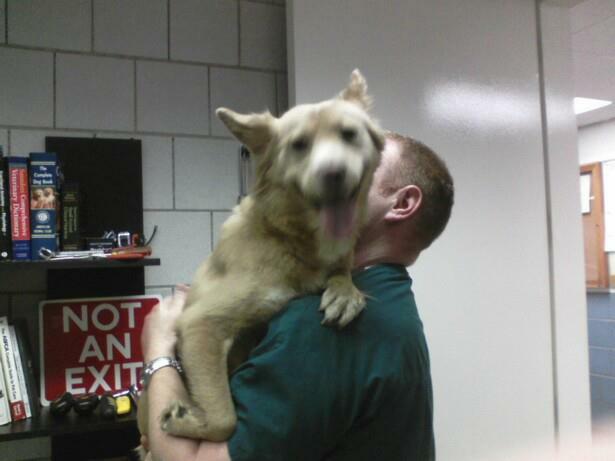 She’s stayed in the care of Chicago Animal Care and Control and has recovered quite well. Cherie Travis of CACC says Isis will soon be ready to go up for adoption. She will get the happy ending she truly deserved, but didn’t get from her original family. 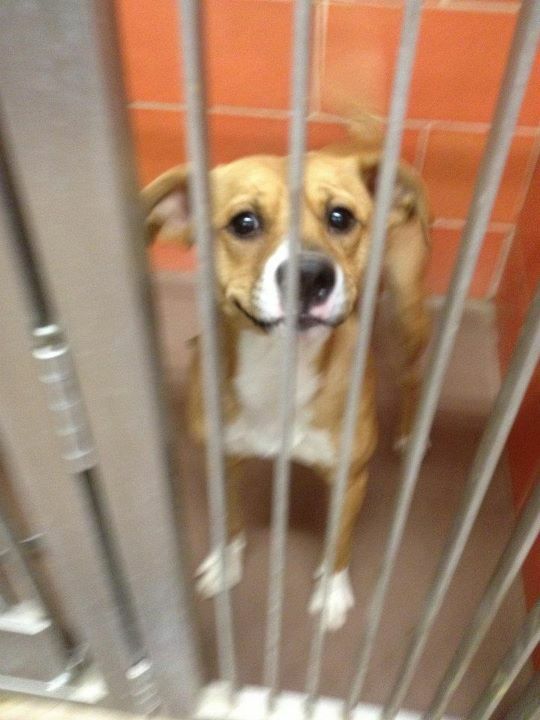 While the flood of potential adopters comes forward for this one dog, what about all the others? Isis will soon be ready for adoption from CACC. Over 7,000 dogs are put down in Chicago each year (and a more astounding 9,600 cats)! Many of these animals are also abused and all are abandoned. What about them? 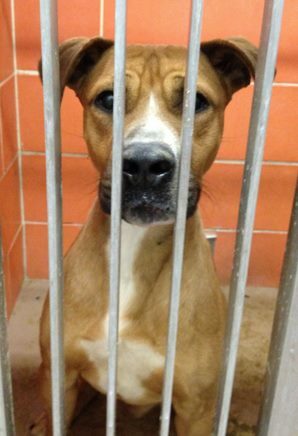 As the people line up for consideration for this one dog, it would be great if they walked through the pavilion and tried to rescue one or more of the other souls at CACC – dog or cat. There are so many seniors just like Isis that have been abandoned by their family when they hit their golden years. There are so many and just not enough adopters walking through the doors. The numbers would be much worse if not for Chicago’s awesome rescue community – a record number of dogs and cats were pulled last year from CACC. At Animal Welfare League, another large contingent was also saved through transfers and adoption. I’m so happy that things worked out for Isis…but let’s not forget about the other animals left behind. 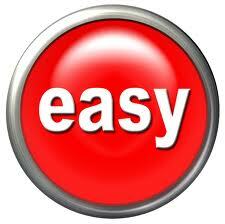 I love the Staples commercial on TV when the person confronted with a crisis just hits the “Easy” button and everything is great. In reality, it’s a different story. PJ’s Pet Stores in Canada have been getting a lot of attention after announcing they’d stop selling pure breed puppies and kittens. From now on out, they will work with shelters and rescues on animal adoptions. Since the pure breeds come from puppy and kitten mills and more people are aware of the horrors of those businesses, you’d think moves like these would be simple for pet stores to make. Dogs from a puppy mill. In the Chicago-area, the war has been brewing between the store owners, who have no problem selling animals from puppy and kitten mills, and animal rights activists. The number of stores shut down by protests is on the rise with more of the worst offenders in the sites of the Puppy Mill Project. This organization works on educating the public about the horrors of puppy mills and working with merchants to stop the sale of puppies and kittens. I’ve always been an animal lover and to me, the right thing to do is a true “no brainer.” Animal abuse is wrong and to abusively reproduce for profit should be criminal. One of my dearest friends has a dog rescued from a puppy mill and Reese is the face I picture whenever I discuss this issue. There are pet stores that are doing the right thing and it is working. Dave Cozzolino owns Wilmette Pet Center. Although the store had sold puppies and kittens for years, Cozzolino had developed a relationship with North Suburban Adopt-A-Pet. 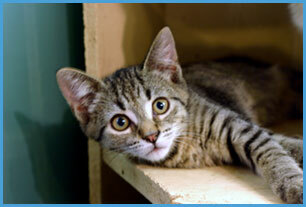 The store would foster a cat for adoption and hold adoption fairs at the location. When he took over as owner three years ago, he decided that he no longer wanted to sell puppies and kittens and wanted to work for more adoptions instead. 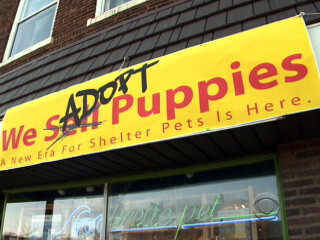 He worked with Adopt-A-Pet to change over the cages in his store one by one to the rescue. He fosters the animals and the rescue handles the adoption. After a year, the move has been good for his business. 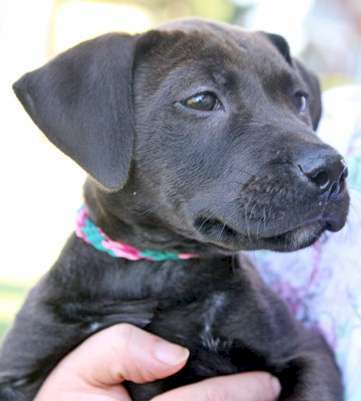 Animals that have been rescued by Adopt-A-Pet are now up for adoption at Wilmette Pet Center. I interviewed him recently and a couple of things really struck me about Dave. First of all, he feels like many of us do – because there are so many homeless cats and dogs in the world, it’s just not right to sell so many puppies and kittens for profit. The other thing is his very strong sense of community. Dave feels that if he is good to the community, they will be good to him as well. Along with Adopt-A-Pet, he works with Midwest Greyhound Adoption, the Midwest Labrador Retriever Rescue and has hosted events for other shelters and rescues. But in his Wilmette neighborhood, community is much more than that. He supports school groups and scouts and other local organizations. As long as he’s in business, he’ll be around to help out a lot of local folks. Like most business owners, he is in the business to make a profit. But he also was genuinely concerned about who would support those organizations if his business wasn’t there any longer. So, he switched from selling to adopting – cage-by-cage – and worked to come up with new products and revenue streams with each change. 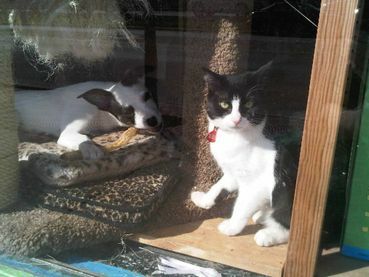 In the past year, his business is up and adoptions for Adopt-A-Pet are also up – especially the kittens. He reports he has lots of new customers who adopt from him and now shop there and from people who are now coming back in because he has stopped selling pure breeds and changed how he does business. A few other small operations are also joining forces with rescues, shelters and even Chicago Animal Care and Control to help save lives and move Chicago a bit closer to being a no-kill city. We still have a long, long way to go.